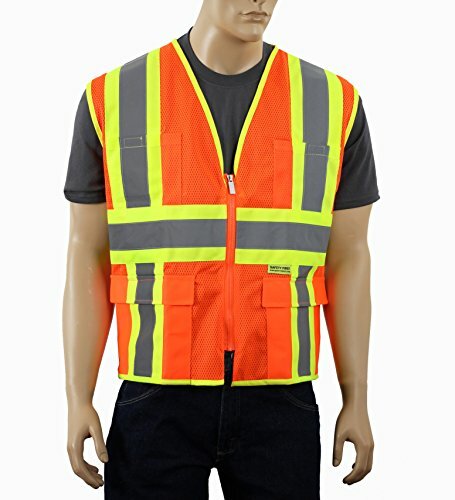 High quality safety vest made from 100% polyester. Ansi approved class 2. Light weight comfortable fit with 2" reflective tape. Available in solid or mesh for a more breathable option. Multiple colors available. Washable up to 25 times. Garment is intended for high visibility and is not intended for highly inflammable environments or for use with hazardous materials. Class 2 approved for orange and lime colors which provides superior visibility for wearers. This class is required for all Federal-aid highway who are exposed to traffic or construction equipment.